Selling your house in a short sale may not be the first idea that comes to mind when you can’t meet your mortgage payments. If you live on Long Island or the 5 boroughs and you owe the bank more than you can recoup by selling the house, you might mistakenly believe that you are stuck in a bad situation with no way out. In fact, you do have some options. You can ask for a loan modification to lower your monthly mortgage payments, or you can sell your house in a short sale and move to a more affordable home. So which option will help you avoid foreclosure and put you in a better financial position? If you lose your home to foreclosure, you are at risk of a deficiency judgement where you owe the bank thousands or possibly hundreds of thousands of dollars. The bank may garnish your wages and attack your bank accounts to collect. Your credit score will drop and it may take years to restore. A foreclosure can affect your ability to buy a house (or a car or another major purchase) in the future. It can take up to 7 years to purchase another home after foreclosure. Because a foreclosure can result in such drastic consequences, many homeowners seek to avoid foreclosure at all costs. Avoiding Foreclosure: Loan Modification or Short Sale? You may decide to stay and fight for your house by asking the lender for a loan modification. Your other alternative is to sell in a short sale and make a fresh start in a new home. 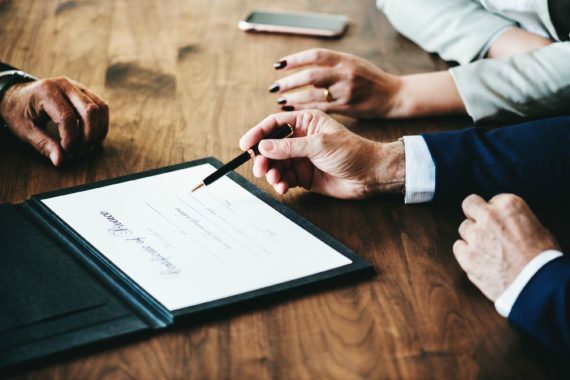 Be aware that if you decide to pursue a loan modification and then you change your mind, the bank may not open another file for a short sale and it may take 3-6 months to complete the loan modification. On the other hand, in a short sale the bank agrees to accept an offer that is close to market value but does not cover all that you owe, and they forgive the difference. If you have a pending short sale and you decide on a loan modification, the bank will close out the short sale transaction. Convincing the bank to give you a loan modification is not easy. If they do agree, your mortgage is restructured and the terms of the loan are changed – but not always for the better. Different Terms: The lender might agree to lower the interest rate, convert a variable rate loan (ARM) to a fixed rate loan, and/or extend the length of the term of the mortgage loan. The bank might add the unpaid interest to the balance of the principle. New Mortgage Payment: In the end, you may end up with a lower mortgage payment, but there is no guarantee. As bizarre as it sounds, the bank may use a ratio of your monthly income relative to the new payment and decide to raise the amount of your mortgage payment. The Temporary Loan Modification: Beware of an offer of a temporary loan modification. You might be given a new, reduced mortgage payment for several months, and the principle balance will remain the same. You might mistakenly believe that the bank will make this arrangement permanent if you are on time with your payments. But at the end of the term of the reduction, the bank may declare you in default and start foreclosure proceedings. The Government Flex Program: You may be able to get a loan modification from the government in the Fannie Mae and Freddie Mac Flex Modification program if your financial difficulties are likely to be long term. The problem with a loan modification, if you can get one, is that in the end you may wind up “repurchasing” your house for much more than it is worth. Think about it. Even if your monthly mortgage payments are lowered, if the term of the loan is extended to 40 years, how much will you end up paying for the house? Ask yourself, if you were to purchase a house today, would you buy a house in that neighborhood for that price? If the answer is no, it’s time to think about a short sale. A short sale is appropriate when the property will not net your lender the amount due on the mortgage balance and other expenses like closing costs, real estate agent fees and a second mortgage. In popular terms, you are “underwater” on your house. Time is of the essence if you are in jeopardy of foreclosure. You have to make an informed but fast decision about pursuing a loan modification or a short sale. The Bank Agrees to Take the Loss: If the bank feels it will get more through a short sale than an expensive and drawn out foreclosure, it may agree to accept a short sale offer. You Control your Timeline: In a foreclosure, the lender holds all the cards and the timeline is out of your control. With a short sale you can buy time to allow the kids to finish out the school year and save up for the next step. You Walk Away and Start Over: After the short sale you will be relieved of the burden of an unaffordable mortgage payment and you will be able to have a fresh start. Relocation after a Short Sale: Some people enter a rent-to-own agreement after a short sale, while others rent for a few years and then qualify for a more affordable mortgage. In some cases the bank will provide funds for relocation, or you may be eligible to receive funds from another source. In the end, a short sale where the bank absorbs the mortgage balance shortfall and you relocate to an affordable home can put you in a much better financial position than a loan modification if you are at risk of foreclosure. Realty Warehouse can help you decide what to do if you are facing foreclosure and you live on Long Island or in the 5 boroughs of New York City. We can assist you in determining if the bank has offered you a bad deal in a loan modification. Our representatives help homeowners weigh-out options in order to find alternatives to foreclosure such as a short sale and achieve the best possible outcome. Realty Warehouse enjoys an A+ accreditation rating from the respected Better Business Bureau. You can count on us to listen to your situation, offer the advice you need and provide effective alternatives in a stressful situation.